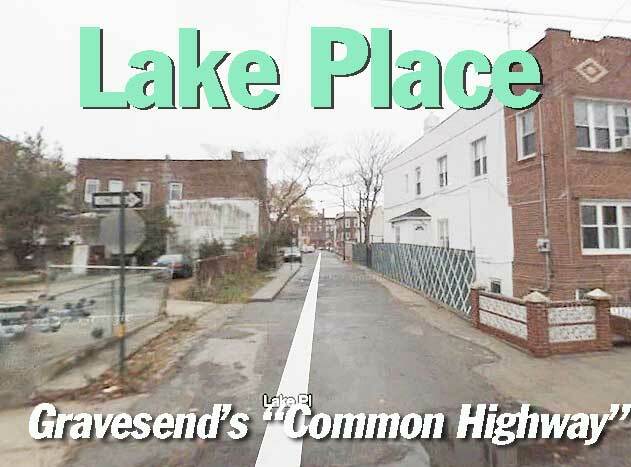 Lake Place, a little alley running a few blocks between 86th Street and Van Sicklen Street in Gravesend, Brooklyn, wasn’t named for a nearby lake, and it wasn’t always an alley. 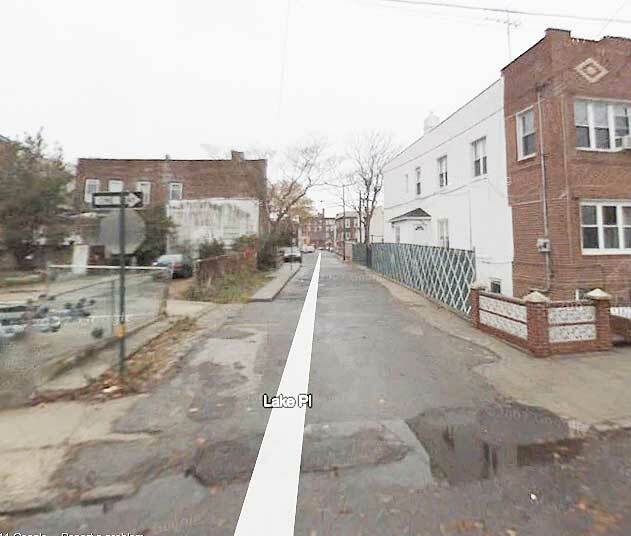 In fact, it was once a main artery in the town of Gravesend … back when it was a town. 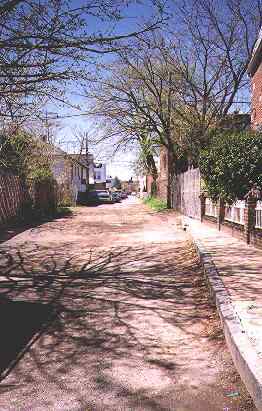 This unpaved back alley was once one of the main roads of the village of Gravesend. 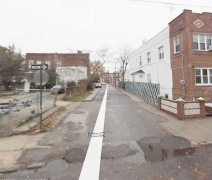 One of the oldest neighborhoods in Brooklyn, Gravesend was settled in 1643 by Lady Deborah Moody, who was seeking a religious haven after falling out of favor with the Puritans of Lynn, Massachusetts. 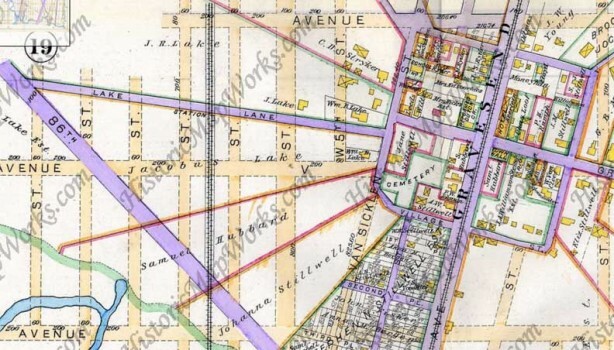 Few remnants of the original village remain after 350+ years, as you may expect, but amazingly, the original square town plan as devised by Lady Moody is still reflected in the configuration of Village Roads North, South and East as well as Van Sicklen Street. Gravesend Neck Road trails off northeast from the original town, and Lake Place winds off to the west. Lake Place has gone by a large number of names over the past 300 years. It has been known as the Gravesend Common Highway, Road To The Barrens To The Bay, Highway Of West Meadows, and many more. Since the 1800s it has carried the name of an early settler, W.B. Lake. 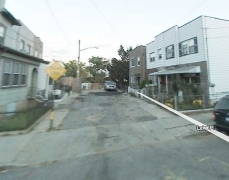 One of the Lake family homes still stands on Avenue V near Van Sicklen Street. 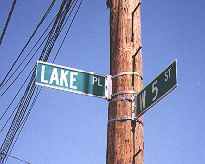 Originally, the road we now call Lake Place was the only road that connected the village with the town mill and Gravesend Bay. This 1890 atlas plate shows Village Square, the heart of Gravesend, with Lake Lane, now Lake Place, extending to 86th Street. The alley takes the same route today. Already laid out and paved streets are shown in purple; therefore, Lake Place predated the overall street grid. 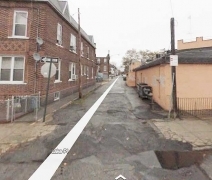 There have really been two Lake Places since the 1910s when the BMT subway was built in the area; the western half, running between 86th Street and Wset 9th Street, was paved aabout 1970 and given street lighting by the Department Of Transportation, while the eastern half, between West 7th and Van Sicklen Street, has pretty much been kept as a dirt track used by local residents as a driveway or back alley. Not many of them know it’s been there for over 300 years! 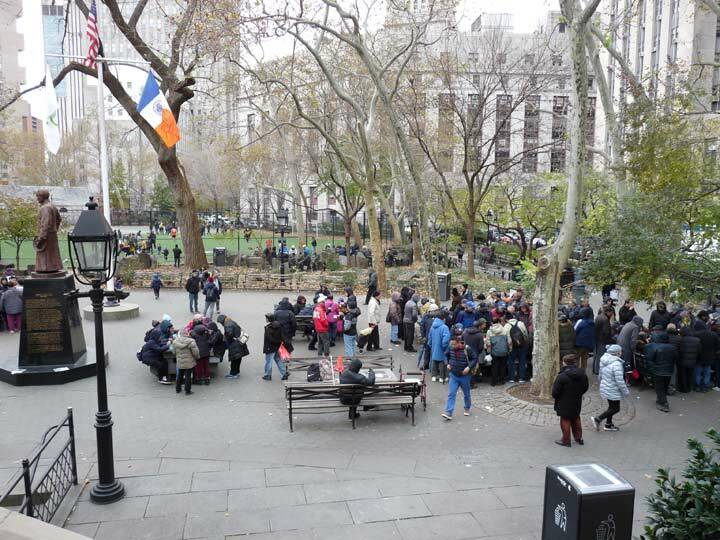 2003: The eastern half of Lake Place has now been fenced off. Information provided by Joseph Ditta Jr. and also from the Guide Map to Historical Sites in Gravesend, Brooklyn, by the Gravesend Historical Society. Mistakes? Advice? Contact your webmaster at erpietri@earthlink.net. Thanks for visiting the site!